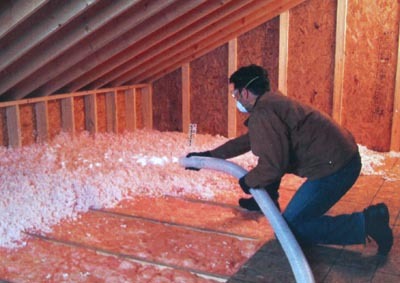 Fiber glass insulation is one of the most prevalent forms of insulation used today. It offers many advantages and serves to control temperature in homes, as it helps to prevent air exchange between the inside and outside of homes. 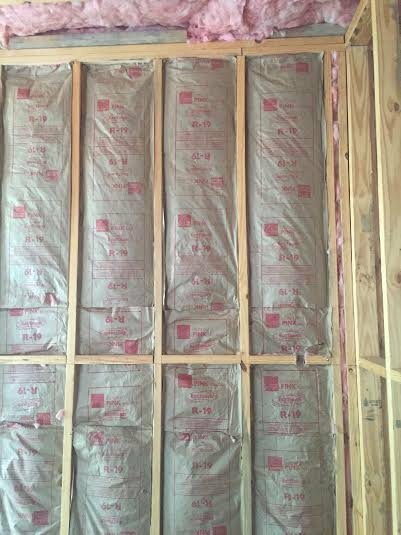 Fiber glass insulation also serves to control sound and helps homeowners to save money by lowering energy costs. Glass wool is a thermal insulation that consists of intertwined and flexible glass fibers, which causes it to "package" air, resulting in a low density that can be varied through compression and binder content. It can be a loose fill material, blown into attics, or, together with an active binder sprayed on the underside of structures, sheets and panels that can be used to insulate flat surfaces such as cavity wall insulation, ceiling tiles, curtain walls as well as ducting. It is also used to insulatepiping and for soundproofing. Gaps between batts (bypasses) can become sites of air infiltration or condensation (both of which reduce the effectiveness of the insulation) and requires strict attention during the installation. By the same token careful weatherizationand installation of vapor barriers is required to ensure that the batts perform optimally. Air infiltration can be also reduced by adding a layer of cellulose loose-fill on top of the material. Loose-fill fiber glass insulation utilizes a professional blowing machine for installation in open spaces to fill hard-to-reach areas like corners, edges and around framing. As a premium alternative to cellulose, it does not settle or decay, and can effectively provide insulation for the life of the home. It can provide R-values from R-11 to R-60.